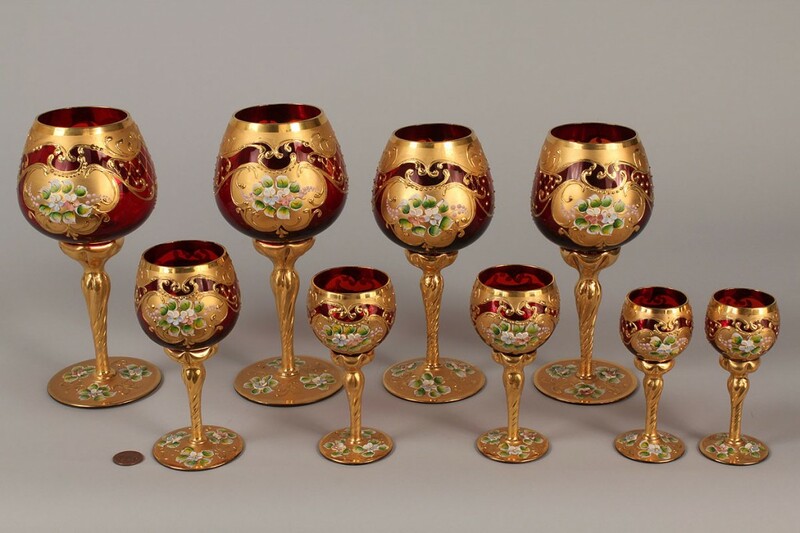 Grouping of Venetian glass enameled stemware including four (4) wine glasses and five (5) cordials in varying sizes. 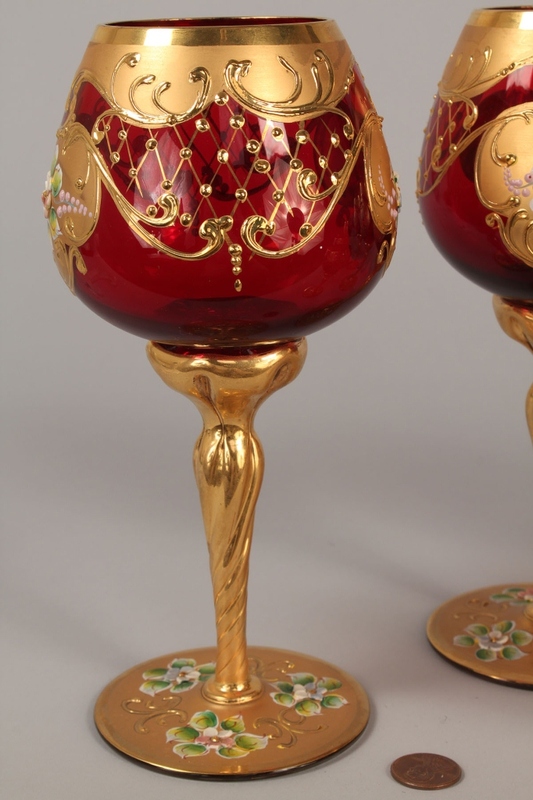 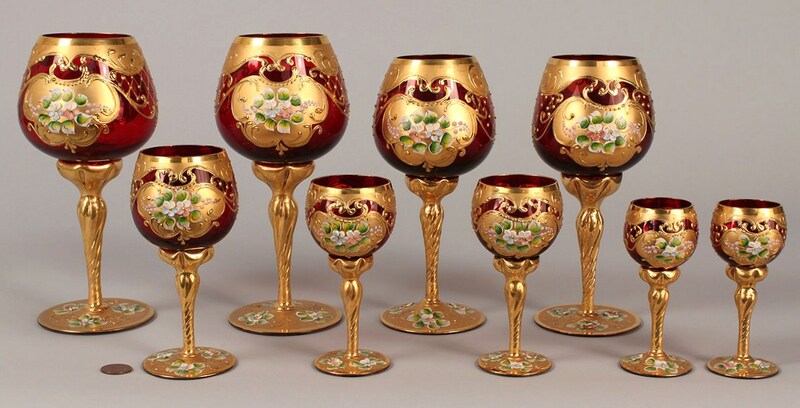 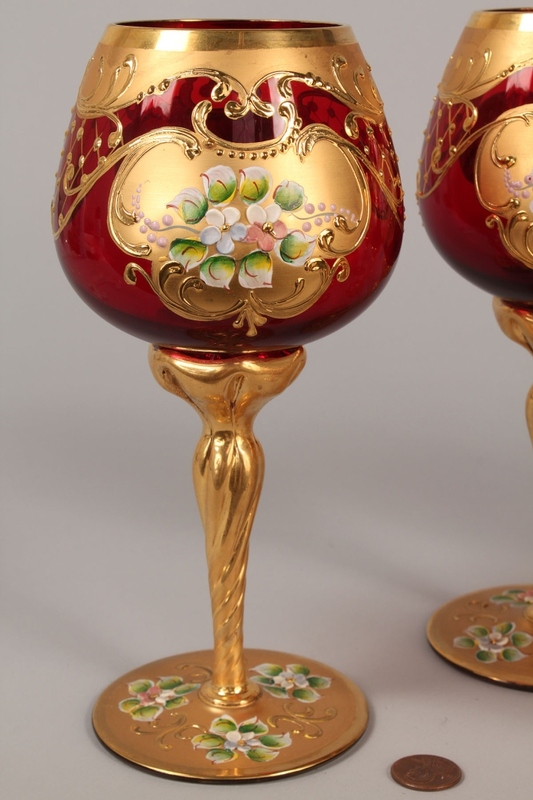 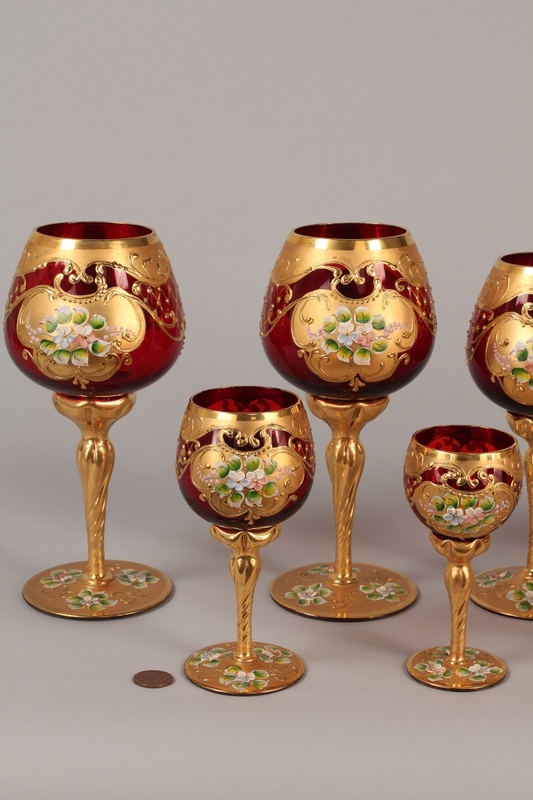 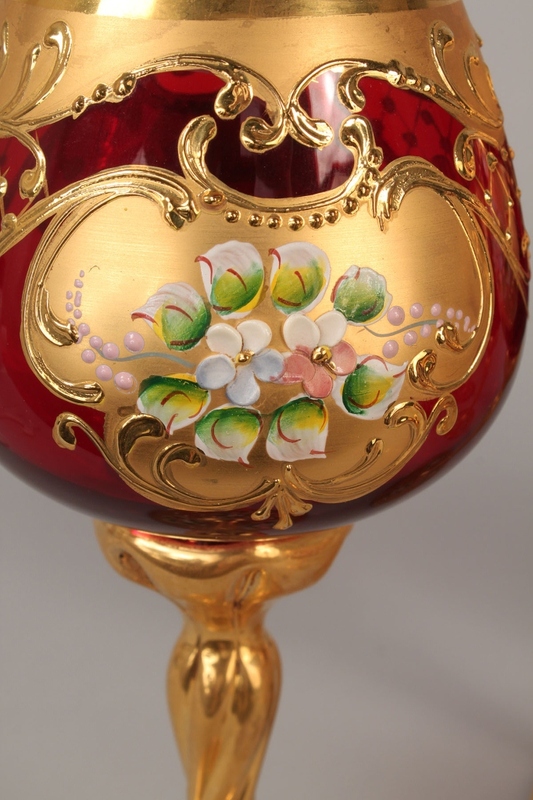 Cranberry glass with elaborate gilt and floral enameled decoration. 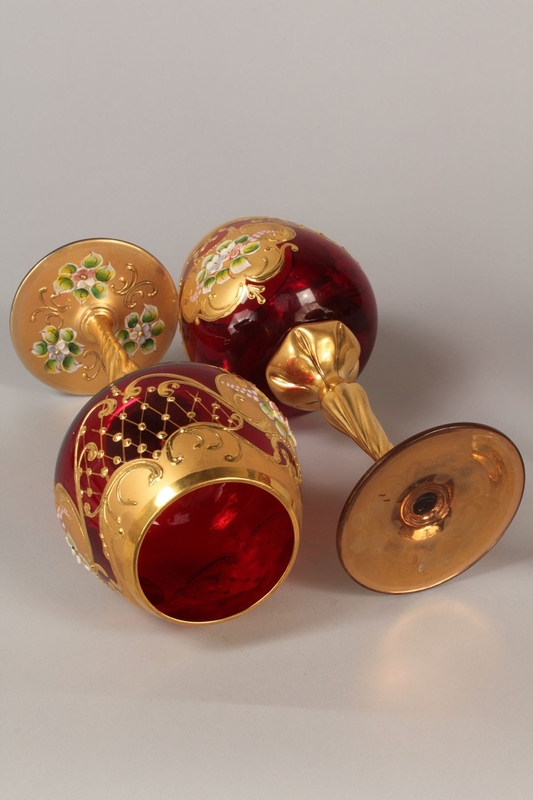 Ranging in size from 4" H to 7 3/4" H. 20th century. 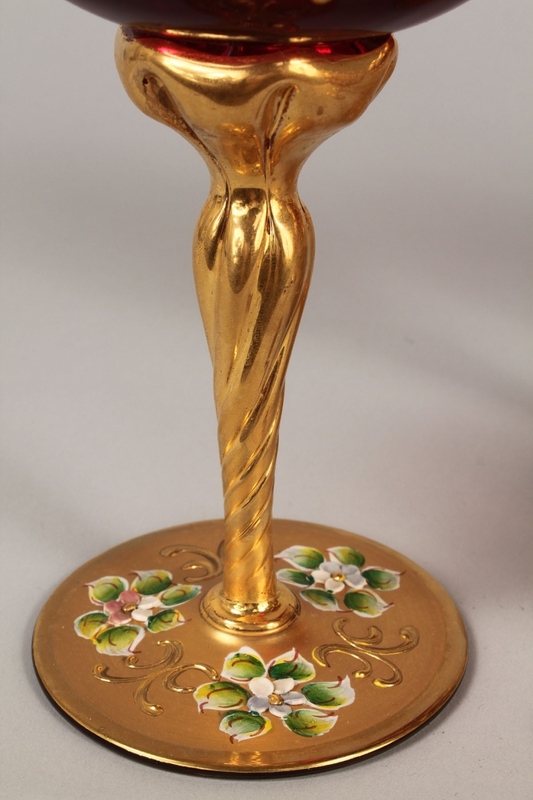 Condition: Overall very good condition with some wear to gilt.